Congratulations on your admission to Vanderbilt University! International Student and Scholar Services has prepared some information that we hope will be useful for a successful time at Vanderbilt. We look forward to your arrival! Additional details will be posted throughout the semester and the summer. Please check back for more information! Please make sure your travel arrangements will allow you to participate in your respective Orientation program. 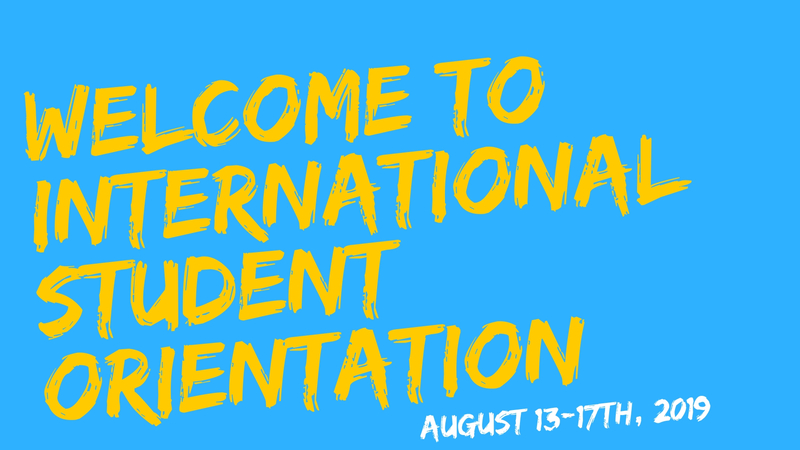 Each fall, International Student and Scholar Services collaborates with various campus departments and offices to host New International Student Orientation in August. There are separate orientation days for graduate/professional and undergraduate students, including programming meant to assist you with acclimation to Vanderbilt’s campus and culture and to provide opportunities to learn about the U.S. with other students. All incoming students (with the exception of those from the Law School and Owen School of Management) will be assigned to iLEAD groups with other new international students that are led by an iLEAD Mentor. iLEAD Mentors have been recruited and trained to assist you before arrival, during orientation week and throughout the first academic year! New International Student Orientation is free for all attendees. Undergraduate students will be able to move into their residence halls early at no charge on Tuesday, August 13th at The Commons from 9 am to midnight. Dining halls will be closed during Orientation; however, ISSS will provide most meals throughout the day. Meal money will also be available for usage during this time. Please bring funds to cover some meals to use at local restaurants around the area, if needed. If you need to arrive in Nashville earlier, please refer to our Temporary Housing listing. New International Student Orientation is primarily designed for your student. Please refer to the Vanderbilt Parent & Family Programs Office for more information and what is available for families. For questions and additional information about orientation, please contact Andrea Pietrzyk. More information and updates will be available in the next few weeks.